While analysis of the Kepler mission data proceeds, we continue to operate the spacecraft for the K2 mission. In the Mission Manager updates, I’ll provide periodic posts on the spacecraft operation, the team and the latest science results from the Kepler and K2 data. In this blog I’ll give you a view of the work we’re doing, and the various issues that we have to consider. 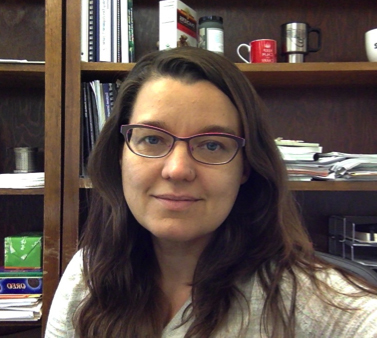 This week Natalie Batalha, NASA’s Kepler mission project scientist, is in Cambridge, Massachusetts, where she will receive the 2017 Lecar Prize from the Harvard-Smithsonian Center for Astrophysics (CfA). The award, now in its fourth year, recognizes exceptional contributions to the study of exoplanets — planets outside our solar system — and theoretical astrophysics. Batalha is the first NASA employee to receive this honor. 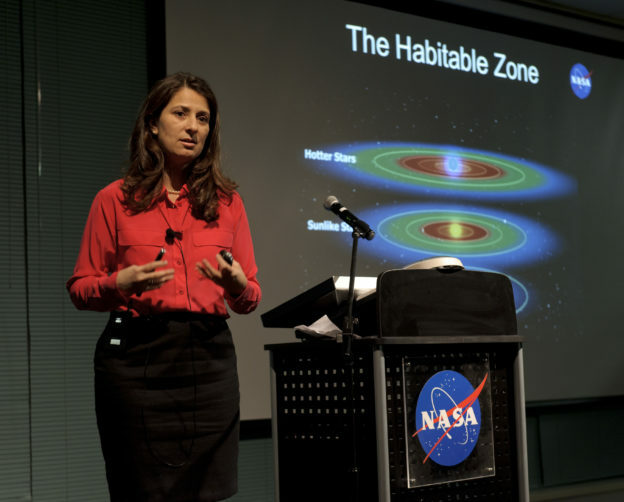 At the first Kepler Science Conference in Dec. 2011, Natalie Batalha discusses the habitable zone–the range of distances from a star where liquid water might pool on the surface of an orbiting planet. The prize is named for Myron S. “Mike” Lecar, who was with the Smithsonian Astrophysical Observatory from 1965 to 2009 researching planet formation and the dynamics of gravity and our solar system. Each Lecar Prize recipient is offered an honorarium and delivers a lecture at the Harvard-Smithsonian Center for Astrophysics. Batalha will give her lecture on April 6, about Kepler’s forthcoming final planet catalogue and the measurements of the survey completeness and reliability required to study exoplanet populations. 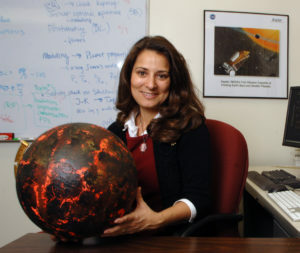 Batalha has been with the Kepler team since the space telescope was still on the drawing board, and has served in various science leadership roles. She led an analysis that revealed the first rocky planet Kepler found outside our solar system, called Kepler-10b, in 2011. Now, as the project scientist for Kepler at NASA’s Ames Research Center in California’s Silicon Valley, Batalha is preparing for the end of the prime mission. That will come when the team delivers its final planet candidate catalog and associated data products in the summer of 2017. Batalha took some time recently to talk about her work, about having a role model, then becoming one, and about watching her daughter follow in her footsteps. How do you describe your present research? I work on planet detection, characterization, and occurrence-rate studies. I’m also starting to turn my attention toward the broader subject of planetary habitability. With Kepler, we sought to find planets in the habitable zone (the range of orbits where liquid water can possibly exist on the surface). The long-term goal is to transition from finding habitable zone planets to finding habitable environments, and even living worlds. Kepler was funded to do something very specific: determine the fraction of stars that harbor potentially habitable, terrestrial-size planets. That is what we mean by “occurrence rate”: how frequently planets of a given size and orbit occur in the galaxy. Kepler has delivered a statistically significant sample of new discoveries, thousands of planets that we can study as a population. We find that small planets are much more common than large planets in the inner regions of a planetary system. M stars (red dwarfs) seem to make terrestrial-sized planets more frequently than G-type stars (like our sun). We’re able to study these more general population-type questions because we have such a large sample of discoveries. What else has Kepler taught us? Kepler has demonstrated a diversity of exoplanets that we didn’t expect. For example, the most common planet known to humanity right now is one we don’t even have in our solar system: these super-Earth, sub-Neptune type planets. We don’t know anything about them. We don’t have any examples here at home. We have found lava worlds with one hemisphere that’s an ocean – an ocean not of water but of molten rock. We have found disintegrating planets literally breaking up before our eyes, because of orbits close to the parent star. We have found circumbinary planets, planets that are orbiting not one, but two stars. We find planets as old as the galaxy itself; I think that was a huge surprise. It means that the raw materials for planet formation are available in the earliest stages of a galaxy’s life. We find planets associated with dead stars, orbiting white dwarfs. We also find interesting architectures: dynamically compact (planetary) systems, packed so tightly that planets feel gravitational interactions from one another. We have learned that every star has at least one planet, and that there are tens of billions of potentially habitable, Earth-size planets. I think that latter fact has opened up a pathway for the search for life on exoplanets. Knowing there are many potentially habitable worlds catalyzes the search for life in a very tangible way. What advice would you give a young woman seeking to enter a science or engineering field? I always tell people just do what they love. I’m trying to remember what I told my own daughter (Natasha, now 27 and an astrophysics graduate student). There may be moments, especially in our field, which still suffers from gender imbalance, when you look around to find you’re different than most of the people sitting in the room. You’re going to have to work through that and stick it out. That’s an uncomfortable place to be. It’s going to cause you to doubt yourself. It’s important to pause and remember that you are capable and have something to offer. It is normal to find this work challenging. If you love it, persist. One thing I’ve noticed over the years is that the students that tend to work with me on research projects are more frequently female. Not that I’m actively seeking them out; it just seems to be a natural thing that happens. To me, that highlights the need for role models. The lack of role models in the field is damaging. The expression is, “You can’t be what you can’t see.” The quickest way to close the gender gap is to provide role models. In my undergraduate years, I never had any female professors teach my physics or astronomy classes. When I was in high school, though, I had the example of the astronaut Sally Ride. At that time, I didn’t know what I wanted to be. I went to college as a prospective business major, not a science major. When I paused and asked myself what I would do if I could do anything, the answer was to work for NASA. Immediately, that role model, Sally Ride, popped into my head. With our own children, we were really careful (with both mom and dad working in astrophysics) not to make it astronomy 24/7 at home. In fourth grade, when our oldest daughter was 10 years old, she did a “famous American” report. She chose Sally Ride as the subject. She learned that Sally Ride was the first American woman in space and decided she wanted to be the first human on Mars. Now she’s really interested in the search for life on exoplanets. We’re sometimes even on (teleconferences) together, which is great fun. It’s nice that Sally Ride influenced us both, and it makes me very happy to know that my own daughter will serve as a role model herself one day for future generations of explorers. Last month the scientific community and the world were delighted with the announcement of a total of seven Earth-size planets orbiting a nearby star called TRAPPIST-1. Data from NASA’s Spitzer space telescope revealed the last four of these neighbors, and as planned, the Kepler space telescope also had an opportunity to look in on this interesting target. During its observing campaign 12, covering the period of Dec. 15, 2016 to March 4, the Kepler spacecraft, operating as the K2 mission, monitored the brightness of TRAPPIST-1. Earlier this month, we released the raw, uncalibrated data to the scientific community, with the fully calibrated data to follow in the next few months. We are excited to see what these observations have added and will further contribute to the community’s investigation into the TRAPPIST-1 system. Kepler’s K2 mission is now in its thirteenth observing campaign, monitoring a patch of sky in the direction of the constellation Taurus. During this campaign, the spacecraft will monitor more than 21,000 targets, including the Taurus star-forming region and the nearby Hyades open star cluster. Measurements of 33 galaxies, six asteroids, eight trans-Neptunian objects and one comet are also scheduled. Over the last year, the team also has been gearing up to deliver the final data products from the Kepler [prime] mission. Today marks an important milestone: the final Kepler Object of Interest (KOI) table has been delivered and made available to the community at the NASA Exoplanet Archive. The KOI table contains a list of notable objects that show evidence of astrophysical transit events. The release of these data will help the community plan follow-up studies while our final analyses are completed. A paper detailing the mission’s final candidate catalog is anticipated this summer. At this time of year, the original Kepler field of view rises in the night sky allowing scientists to carry out their follow-up studies of these KOIs using ground-based telescopes in the northern hemisphere. 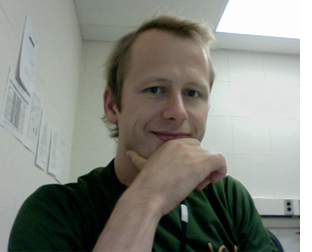 Beginning April 1st, the Kepler/K2 guest observer office will be under the direction of Dr. Geert Barentsen. Geert will lead the team’s efforts to engage and support the broader scientific community using data from the K2 mission. He joined the team in June 2015 and has been instrumental in shaping the diverse portfolio of observation targets for the K2 mission. Geert also organized the first-of-its-kind microlensing experiment for NASA—a collaborative survey between the K2 mission and ground-based observatories around the world. Community engagement and the results of the study serve as a proof of concept for NASA’s Wide-Field Infrared Survey Telescope, to be launched in the mid-2020s. Geert is currently organizing another K2 mission campaign focused on the study of supernovae, which is scheduled to begin in December. 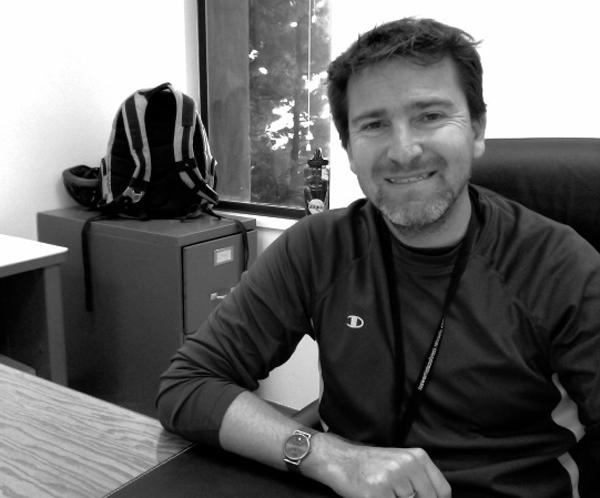 With this new appointment, the team bids farewell to Dr. Tom Barclay, our current director of the Kepler/K2 guest observer office, as he begins a new opportunity as the deputy director of the guest investigator office for NASA’s next planet-hunting mission, the Transiting Exoplanet Survey Satellite. Tom joined the team in March 2011 and was promoted to director in October 2014. He led the efforts to engage the scientific community on a new and unexpected opportunity that would become the K2 mission. In July 2016, his leadership and passion for the search for other worlds was recognized with a NASA Ames Honor Award for his exceptional efforts. We applaud Tom’s enthusiastic and tireless work as the Kepler/K2 guest observer director. He will be missed. The spacecraft remains healthy and productive–a true explorer as it recently completed its eighth full year in space. It now trails Earth by 84 million miles in its tour around the sun. That’s about 452 light-seconds for those spatially inclined, or 0.9 AU for folks that like smaller numbers. 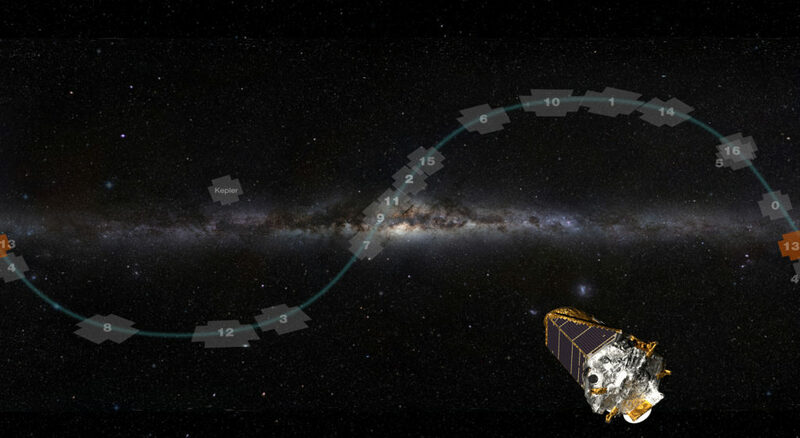 Kepler’s K2 mission is now in the midst of its eleventh campaign, observing a patch of sky in the direction of the constellation Sagittarius. During this campaign, it will observe 14,250 new targets, including the Galactic Center and Saturn’s moons Titan and Enceladus. Campaign 11 began on Sept. 24, but was interrupted for three days (Oct. 18-20) to make a small pointing correction to accommodate the imbalance that was created by broadcasting data from a different antenna on the other side of the spacecraft. Although the spacecraft is as big and heavy as an SUV, it actually turns slightly when we change the broadcasting antenna. This is like having your car begin to turn from the force of the blinking of your turn signal. Yes, the spacecraft is that delicately balanced! Data collection for Campaign 11 will continue until Dec. 7. Since my last update, our investigation into the cause of the spacecraft’s photometer—the onboard camera—being powered off in July during Campaign 10, confirms that that science detector Module 4 failed. The likely cause was a random part failure that resulted in a high electric current in the circuitry, which blew the protection fuse, disabling the detector but preventing the problem from propagating to other detectors. As part of the fault protection response, the photometer was powered off. Eighteen of the 21 science detector modules remain fully operational. 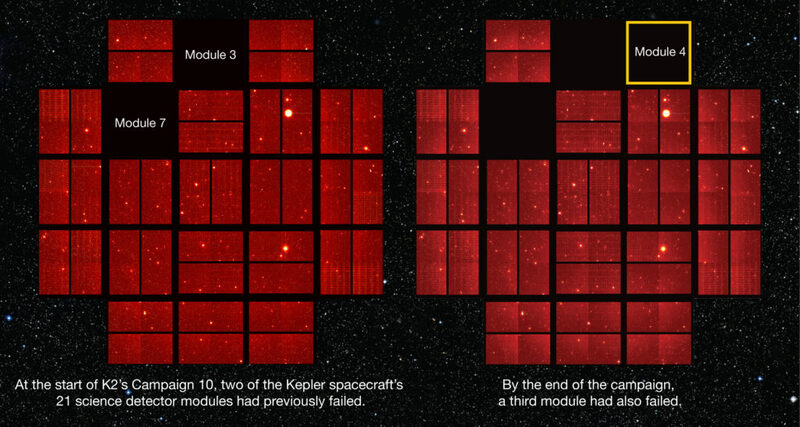 Two science modules had failed previously: Module 7 in January 2014 and Module 3 in January 2010. These are not unexpected events as the spacecraft ages in the harsh environment of space. The comparison of two full frame images from the Kepler spacecraft show two black squares (Modules 3 and 7) and 19 red squares on the left. On the right, there are three black squares (Modules 3, 4 and 7) and 18 red squares. A red square indicates that data is being collected by the photometer and a black square indicates no data is being collected and that the module is no longer functional. Eighteen of the 21 science detector modules remain fully operational. In September, the spacecraft had a unique opportunity to provide a ‘wide-angle’ view of comet 67P/Churyumov–Gerasimenko, making observations of its core and tail. These observations complement the close-in study of the comet provided by the European Space Agency’s Rosetta spacecraft during the final month of its mission. These and the remainder of Campaign 10 data have been downlinked to the ground and are being processed for release at the public archive later this month. We’ve also made changes with the Kepler and K2 project scientist personnel. On Aug. 15,Natalie Batalha, project scientist for NASA’s Kepler mission Natalie Batalha was appointed as the project scientist for the Kepler mission. Since 1999, Dr. Batalha has served in numerous leadership roles throughout the mission including deputy principal investigator and science team lead. In addition to her responsibilities with the Kepler mission, Natalie is a co-lead of NASA’s Nexus for Exoplanet System Science Coalition, and serves on the James Webb Space Telescope Advisory Committee. She also serves as a member of the NASA Advisory Council’s Astrophysics Subcommittee, and, in 2013, participated on the task force to define NASA’s 30-year Astrophysics Roadmap– Enduring Quests, Daring Visions: NASA Astrophysics in the Next Three Decades. On Sept. 6, Jessie Dotson assumed the role of project scientist for the K2 mission. Dr. Dotson was formerly the deputy science office director for Kepler and, in 2008, established the Kepler Guest Observer Office. Most recently, she served as astrophysics branch chief in the Space Science and Astrobiology Division at NASA Ames. In 2014, Jessie helped formulate the Asteroid Threat Assessment Project (ATAP) at NASA Ames to quantify the risk to Earth of an asteroid impact. She currently leads the ATAP asteroid characterization team. In 2016, Jessie was awarded a NASA Outstanding Leadership Medal for her work as the astrophysics branch chief at Ames. Together, Natalie and Jessie replace Steve Howell who served as Kepler project scientist since 2010 and K2 project scientist since mission conception in 2013. In that role, Steve oversaw Kepler science operations through the end of its prime mission, the recovery from the reaction wheel failure that nearly ended the mission, and the development and implementation of the K2 mission that gave Kepler a new lease on life. 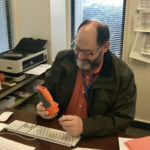 We commend Steve for his work as the Kepler/K2 project scientist, with notable leadership in catalyzing the science community to support Kepler’s extended mission called K2. In August, the team gathered for the annual year-in-review of spacecraft operations with Ball Aerospace, the designer, manufacturer and flight controller of Kepler. A topic of high interest is the on-board fuel reserve, which is expected to last into the spring of 2018. 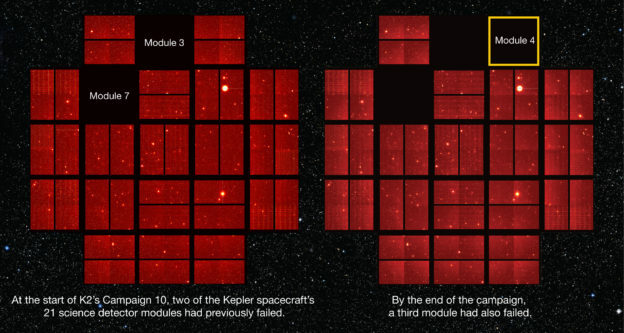 At last count, Kepler has identified more than 5,100 planet candidates. Of these, more than 2,500 have been verified as bona fide planets. NASA’s next planet-hunting mission, the Transiting Exoplanet Survey Satellite (TESS), is scheduled to launch no later than June 2018. TESS will build upon Kepler’s success and search for exoplanets around the stars closest to the own solar system. As reported in last week’s update, the Kepler spacecraft’s photometer—the onboard camera—was commanded to return to science after being found to be off during a routine contact on Thursday, July 28. Yesterday, the team confirmed that the photometer responded as expected and began collecting data again on Tuesday, Aug. 2. Yesterday’s scheduled contact with the spacecraft was made using the 70-meter dish at NASA’s Deep Space Network (DSN) at Goldstone, California. The large dish provided the necessary communications link with the spacecraft to confirm Kepler was back doing science. The Kepler focal plane is approximately one foot square. It’s composed of 25 individually mounted modules. 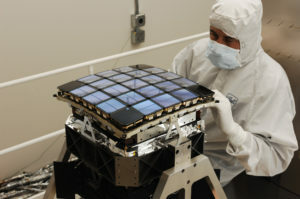 The four corner modules are used for fine guiding and the other 21 modules are used for science observing. Our investigation of the cause centered on the focal plane detector modules. The signature of the recorded faults surrounding the anomaly was reminiscent of an event in January 2014, when one of the science detector modules (Module 7) failed. In that case, we concluded that the most likely cause was a random part failure that resulted in a high electric current in the circuitry, which blew the protection fuse, disabling the detector but preventing the problem from propagating to other detectors. As part of the fault protection response, the photometer was powered off. Thus, it seemed likely that this most recent anomaly might be the result of another random detector failure—something to be expected as we continue to extend the spacecraft’s mission. Analysis of the temperature data from the focal plane seems to bear out this hypothesis, and points suspicion to science detector Module 4, as the likely culprit. When we turned the photometer back on, all the other modules warmed up at a consistent rate, while Module 4 reacted more slowly, and never reached full operating temperature before the DSN contact ended. As part of our standard contact procedures yesterday, we brought down a few pixels from the focal plane to verify the precise pointing of the spacecraft, and some of these pixels were from the suspect Module 4. The data from these pixels failed to register its assigned target star, while pixels from other modules produced the expected signals from their assigned target stars. Therefore we are relatively certain that this detector has indeed failed. For the K2 mission’s current Campaign 10, the targets that were assigned to Module 4 will yield no further science results. For the campaigns going forward, we will select targets which fall on the remaining operational detectors, which will have little to no impact to the upcoming science. Such hardware failures were foreseen in the initial mission planning, and the system design is robust and compartmentalized to minimize the impacts. After more than seven years in the harsh conditions of space, 85 percent of Kepler’s original detectors are still operating. Module 4 will be the third of the 21 science modules to have failed in-flight. Kepler’s primary mission ended in 2013 but exoplanet and astrophysics observations continue with the K2 mission, which began in 2014. In June, NASA Headquarters announced that Kepler is to continue science operations through the end of the FY19, by which time the on-board fuel is expected to be fully depleted. To-date, Kepler has identified more than 5,100 planet candidates, of which 2,454 have been verified as bona fide planets. NASA’s Transiting Exoplanet Survey Satellite, scheduled to launch in 2017 or 2018, will continue Kepler’s success and search for exoplanets closer to our own solar system. During a scheduled contact with NASA’s Kepler space telescope on Thursday, July 28, the team found the photometer—the camera onboard the spacecraft—powered off. The photometer was turned on again and the flight system returned to autonomous science operations on Monday, Aug. 1. We will confirm that science operations have been resumed within a week. The team is currently investigating the cause; the spacecraft is otherwise operating normally. The Kepler spacecraft is currently in the tenth observing campaign of its second mission, called K2. Kepler’s primary mission ended in 2013 but more exoplanet and astrophysics observations continue with the K2 mission, which began in 2014. To-date, the K2 mission has identified more than 450 new planet candidates, of which 128 have been verified as bona fide planets. In June, NASA Headquarters announced that the K2 mission is to continue science operations through the end of the FY19, by which time the on-board fuel is expected to be fully depleted. The K2 mission, the two-wheel operation mode of the Kepler spacecraft observing in the ecliptic, is exhibiting no discernible ill effects since the recent Emergency Mode, other than the extra fuel usage. K2 is now in the second half of the special microlensing campaign called Campaign 9. The first half of the campaign was shortened by two weeks as a result of the emergency, and the data acquired have made public. The microlensing team has already been searching for the telltale events that indicate an object passing in front of a background star, identifying approximately two-dozen of these lensing events. Thus far, the experiment seems to be a smashing success! While we are still dotting the i’s and crossing the t’s on the cause of the emergency, all the signs are pointing towards a single bit that changed state in the memory of an electronic chip that controls the internal command and data bus onboard the spacecraft. The memory was designed to be highly resistant to upset but if a high-energy cosmic ray hit in just the wrong place or at the wrong time in a write cycle an upset can occur. In this case, the upset caused a disruption in the internal data stream, passing invalid data sets to the flight computer, setting off several fault responses including the shutdown of critical heaters on the spacecraft. After a couple of hours, propellant froze in the propulsion system effectively disabling pointing control. Without pointing control, the spacecraft slowly drifted until the sun got too close to a “forbidden zone” around the optical axis of the telescope, causing the Emergency Mode to kick in and protect the telescope. While we have an excellent fault protection system onboard, no amount of pre-planning is going to work if we get multiple, random faults, which is why we have the Emergency Mode in the first place. And it worked beautifully! The spacecraft emergency provided an opportunity to highlight the important role that engineering plays behind the scenes in the development and operation of a mission. Last month the engineers from NASA Ames, Ball Aerospace and the Laboratory for Atmosphere and Space Physics at the University of Colorado, both located in Boulder, who all worked on the recovery of the spacecraft, participated in a Reddit “Ask Me Anything.” The team had a fantastic time responding to the online community’s questions about the steps in the recovery and the experience of working through a high-pressure, high-visibility situation. We were encouraged by the level of interest and look forward to welcoming more problem solvers to the field of engineering. You can learn more about managing the recovery of a spacecraft 75 million miles from Earth in a recent question and answer feature. Meanwhile the scientific results from the missions keep rolling out. Last month Dr. Timothy Morton of Princeton University announced that his analysis of the Kepler data was able to validate planethood for 1,284 more of Kepler planet candidates. The Kepler verified planet count currently stands at 2,327. Now in its ninth observing campaign, K2 continues to produce a bounty of data for the scientific community to continue the search for exoplanets and to study planet and star formation, as well as the explosive death of red giant stars, commonly known as supernovae. The K2 planet count continues to climb, reaching more than 250 candidates, of which nearly 50 have been verified as bona fide planets. NASA has also announced today that K2 is to continue science operations through the end of the FY19, by which time the on-board fuel is expected to be fully depleted. The mission extension, based on a recommendation from NASA’s Astrophysics Division’s 2016 Senior Review of operating missions, provides two additional years of funding for K2 to continue exoplanet discovery, and the study of notable star clusters, young and old stars, active galaxies and supernovae. For more details about the recommendation and for a listing of other missions approved for extension, see the 2016 Senior Review report.